A respected and pragmatic leader in areas of finance and risk management with more than 30 years of international business and consultancy experience. Expertise includes financial management, corporate finance, mergers & acquisitions, and risk management. Awarded the European Risk Manager of the Year in 2010, as well as various other awards for risk management excellence. Rated 12th among the top-50 Dutch accountants in 2013. Previous roles include Chief Risk Officer at the global information company Reed Elsevier in London, as a partner at KPMG in Amsterdam and New York, and as a CFO of a private equity firm. 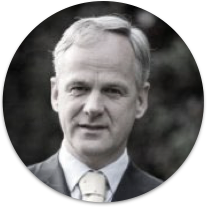 Van der Veer holds various board roles and regularly speaks on issues of risk management.